It can happen at any time to anyone. You’re just about to enjoy that first sip of a nice cold drink or that first bite of a piping hot piece of pie, but instead of pleasure, you feel a sharp pain in your mouth. 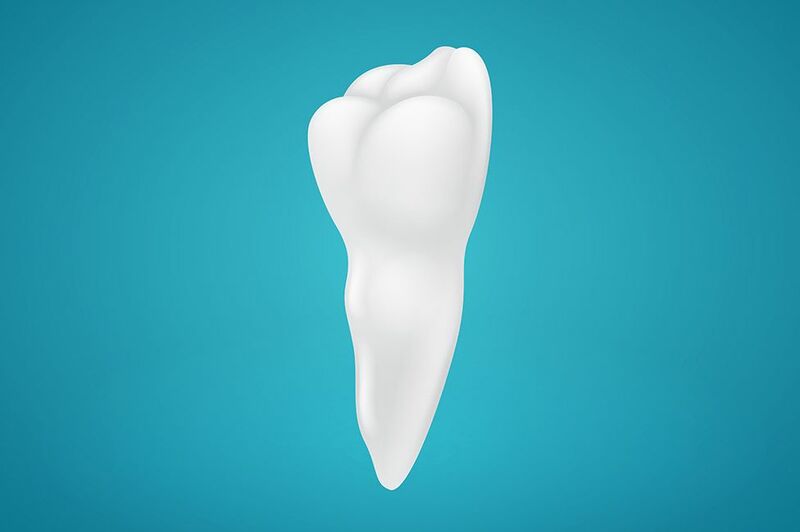 At first, you’re not sure what happened, but you soon realize that it’s your tooth. Do you have a cavity? Did you chip your tooth? Is it time for root canal therapy or another restorative dentistry treatment? A few minutes later, you try again, and this time you don’t experience the same shooting sensation. Over the next few weeks, however, it occurs again from time to time. There’s no doubt about it – your teeth have become sensitive. Maybe it’s just something that happens with age, you think. Maybe it’s just something I’ll have to learn to live with. That’s how many people deal with tooth sensitivity, not realizing that they are receiving a warning signal that worse problems are on the horizon. While there are many possible causes of tooth sensitivity, one of the most common is an exposed tooth root. In turn, the most common cause of an exposed tooth root is gum disease, which also happens to be the most common cause of tooth loss among American adults. When diagnosed and treated as early as possible, gum disease can be managed and teeth can be salvaged. However, when left untreated, gum disease can wreak havoc on the mouth, and tooth loss is inevitable. Fortunately, the experienced and skilled dentists of Smile Solutions by Emmi Dental Associates can treat gum disease and relieve tooth sensitivity. They can explain the connection between tooth sensitivity and exposed roots during consultations at their Wilmington, DE dental practice and then confirm that this is indeed the issue at hand. If so, they can provide timely and effective treatment. You don’t have to live with tooth sensitivity any longer. Contact Smile Solutions by Emmi Dental Associates to schedule your initial consultation with one of our esteemed dentists today. How Do Tooth Roots Become Exposed? Gum disease affects roughly 75 percent of the adult population in the United States to varying degrees. In its earliest stages, gum disease often does not produce obvious symptoms, which leads many people to mistakenly believe that their mouths are in perfect health. If they don’t visit the dentist regularly for check-ups, their gingivitis – the earliest stage of gum disease – will eventually progress into periodontitis – the more advanced stage of gum disease. One of the most devastating effects of periodontitis is that the gums start to pull away from the teeth. This leaves the tooth roots exposed in addition to creating pockets for bacteria to take refuge. The delicate tooth roots will not only be sensitive, but also become painful through their exposure to the accumulating bacteria. Fortunately, at this point, our dentists can still return good health to the gums and the teeth through restorative dentistry. There is no reason to tolerate tooth sensitivity for another day when you could be just a few dental appointments away from a pain-free mouth and excellent oral health. To learn more about tooth sensitivity and exposed roots, please contact Smile Solutions by Emmi Dental Associates today.